Dear sis Ummi Talib, please help me find out Masnoon Duas that I can recite for success in exam. Such as “Rabbiy ishrah li sadri wa yassir li amri( o my Allah, expand my chest and make things easy for me)”. Nice Thread keep sharing such posts. Just the duas i need :) Jazakillah for this awesome thread :) Plz pray that i succesed in my exam. And may Allah reward you all for this wonderful thread. awww, don't stress sis. As said above, try your best and rely on Allah ta'ala as effort is from us (With the tawfeeq from Allah ta'ala) and success is ultimately from Allah ta'ala. Allah ta'ala grant you ease and great results, aameen! The E Islam was very helpful. MashaAllah IT has almost everything I need to read. May Allah ta'ala reward you with the greatest of rewards (ameen). This world is - Dar-ul-Asbaab, i.e. is one of cause of and effect. Hence, the key to success is hard work and thorough revision. A Muslim student will be no different from a non-Muslim student in this regard. After making adequate preparations, a Muslim student will place his trust in Allah (SWT) and seek His assistance instead of relying solely on his/her preparation. The sunnah procedure is to perform Salaat-ul-Haajah and recite the masnoon duaa supplicating to Allah (SWT) for success. As for actual duaas before the exam paper, there are no prescribed duaas or surats. (1) Start with reciting Bismillah-ir-Rahmaan-ir-Raheem. (3) Reciting Durood upon Rasulullah (sallallahu alaihi wa sallam). Recite یا عليم two hundred times before sleeping. 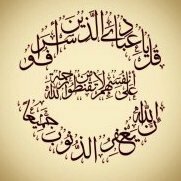 Recite durood shareef 11 times in the beginning and end. and then blow on yourself. Insha'Allah paper will go well and you will be successful. Final exams starting in three days, please keep me in duas.